We offer for our guest accomodation in the boutique-hotel type, three star level Hotel Palota City, which is located in the suburb of Budapest. The hotel with its mediterranean character and with its wonderful garden provides an exellent environment to the guest who would like to relax and rest. The cars can be parked free on the closed yard of the hotel. 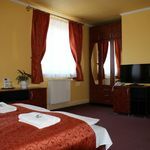 Our hotel is available to the guests with its 9 double bedrooms and 7 rooms with two beds, bathroom, no smoking room, TV, telephone and mini-bar. Each of our rooms is air-conditioned. Our guests can get in a matter of minutes to the Hungaroring in Mogyoród, to the medicinal baths in Veresegyház, or to the Grassalkovich-mansion in Gödöllő, but they can take a walk in the wonderful arboretum in Vácrátót, and they can reach the hustle and bustle life of Budapest on the M3 within a quarter of an hour, too. Our familiar hotel guarantees your pleasant rest with excellent services and with competent staff. 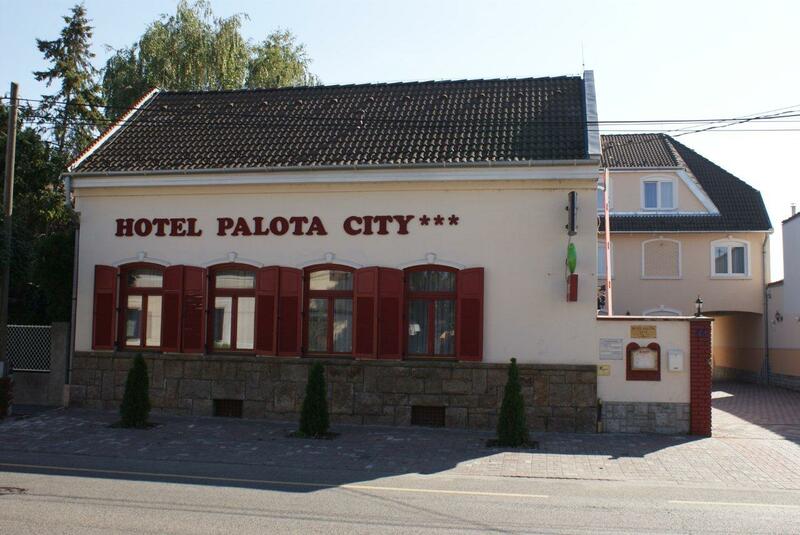 We hope that our offer has won your appretiation, you are kindly invited to Hotel Palota City! 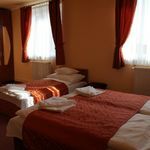 The rating of Hotel Palota City Budapest is 9.4 from the maximum 10, 71 based on actual and valid guest ratings and reviews. "Nem szimpatikus, hogy a közelben "dolgozó" lányokat igénybe vevő férfiaknak is adnak ki szobát." "Nagyon kedves személyzet, tiszta szoba, udvarias kiszolgálás." "Nagyon kedves személyzet, tiszta szoba." "A foglalás előtt nem derül ki, hogy a szobához nem tartozik külön fürdőszoba. Először azt hittem, hogy figyelmetlen voltam, de nem, az "összes szolgáltatás" lenyitható fül alá rejtették. Aki ezt nem nyitja le, így járt. Először a fizetés utáni képernyőn látszik ez a fontos információ. S mivel a szoba nem mondható le, ha nem használom ki, elveszik a pénz. A közös fürdővel amúgy semmi baj nem volt, sőt, kifejezetten tiszta és karbantartott volt, de mégsem ugyanaz, mint egy saját." "Kifejezetten kedves személyzet; Nagyon tiszta szobák és fürdő." Based on the reviews and comments of actual guests, the services of the Hotel Palota City Budapest have received a high rating of 9.3/10.